In honouring writer and journalist Mohammed Hanif, as well as the late human-rights activist Asma Jahangir, Pakistan’s civilian government honours itself. 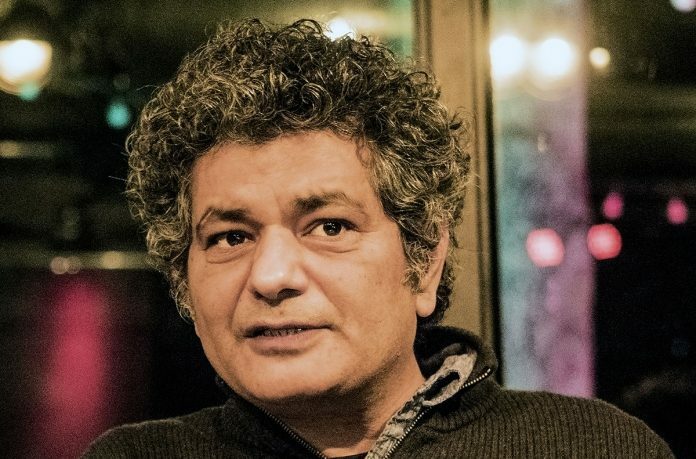 Last month, the Pakistani government bestowed its third-highest civilian award on the writer and journalist Mohammed Hanif. This, to put it mildly, was unexpected. It’s as if Donald Trump had decided to garland Ta-Nehisi Coates with the National Humanities Medal. However, for many writers and journalists in neighboring India, ostensibly the world’s largest democracy, the news could only be bittersweet. Sweet, because few contemporary writers deserve to be celebrated as much as Hanif. The British-Pakistani novelist Nadeem Aslam once said that while “Pakistan produces people of extraordinary bravery, no nation should ever require its citizens to be that brave.” Hanif has long embodied this unreasonable valor in a society dominated by venal politicians, murky spies and religious fanatics. He has intrepidly exposed the atrocities and pretensions of Pakistan’s elites. Writing about human-rights abuses in the province of Baluchistan, he has risked murderous retribution from the country’s intelligence agencies. In honoring him, as well as the late human-rights activist Asma Jahangir, Pakistan’s civilian government honors itself. Presumably, its bauble will bring Hanif, if not others, some respite from the country’s more malevolent institutions and individuals. Yet it deepens a bitter realization among many Indian writers and journalists: Their own struggles, three years after the Hindu nationalist Bharatiya Janata Party returned to power in New Delhi, have in some ways become as arduous as those that have long burdened their counterparts in Pakistan. Many of those committed to transforming the Indian republic into a Hindu nation are viscerally hostile to intellectual life in general. Still, the ferocity of their assault on the fourth estate in India has come as a surprise. Journalism has long been a lethal profession in India’s border provinces, such as Kashmir. Journalists in the heart of India have now also been targeted by vigilante groups, assorted ideological thugs and criminals. This week, India was ranked 138 out of 180 countries in the 2018 Press Freedom Index compiled by Reporters Without Borders, a few slots above Zimbabwe and Afghanistan. Armies of trolls using Twitter, WhatsApp and Facebook have manufactured a whole new reality: one in which Muslims, liberals, secularists, leftists and various other “anti-nationals” are seeking to thwart hard-working Prime Minister Narendra Modi from creating a glorious Hindu nation. Last week, they targeted with especially malign force the independent journalist Rana Ayyub, author of “Gujarat Files,” an undercover investigation of Modi’s colleagues and officials complicit in the 2002 anti-Muslim pogrom in the state of Gujarat. This is as true of such large-circulation newspapers as the Times of India as of local rags. Journalists unwilling to fall into line have been forced out, including most recently Harish Khare, a veteran journalist and editor of the Tribune, who ran a story uncovering flaws in Aadhaar, the government’s cherished biometric-identification project. A long investigative report in Outlook magazine by the journalist Neha Dixit, which described trafficking in very young girls by Hindu nationalists, resulted in the departure of the newsmagazine’s editor. All is hardly lost. Caravan, a monthly magazine run by fiercely contrarian journalists, has published some eye-opening accounts of violence, corruption and official skulduggery. Feisty webzines like Scroll and the Wire have preserved a space for critical commentary. Journalists in India’s regional-language media regularly uncover, at great risk to their lives, turpitude among politicians, bureaucrats and businessmen. Kashmiri reporters, working with very limited resources, persisted for months with the story of an eight-year-old Muslim girl repeatedly raped and then killed by Hindu thugs, until it became international news this month. In recent years, as India appeared to rise, some of the country’s most influential writers and journalists were beguiled by dreams of national glory and private aggrandizement. It is not absurd to hope that, at this time of adversity, Indian journalists would produce their best work yet. Next articleCan China & India’s bilateral talks overcome current conflict and competition?